You would be very hard pressed to find anybody that doesn’t use email at all. Most people have multiple accounts, using them for business and private messages. They correspond with their friends, keep colleagues updated and send work in to their bosses. People are connected to each other all the time thanks to the internet. It is for this reason that email marketing is one of the most effective strategies for businesses that want to grow their presence on the internet. This is true for all businesses, be the mom and pop stores or huge multinational corporations. It’s hugely important to have a good email marketing campaign in place. In doing so, you will notice higher sales, increased conversion rates, greater brand knowledge and more. However, too many businesses no longer look at email as strategy, or never have. The majority of these businesses know the importance of email marketing, but they think it is much too complicated and expensive to actually run a campaign. They worry that their messages will be seen as spam, which will actually harm them rather than improve their presence. However, the reality is the exact opposite. Email campaigns are affordable, simple and effective and the benefits are so vast that it would be a complete waste to not even give it a try. You have to realize that marketing is a way of spending money to make money. You should only spend money that you know you can see a return on, naturally. Marketing is one of those things that you should invest in. Do it right, and the more you spend, the more you will see returned. It’s about boosting your bottom line and although there are some ways to get your site out there without spending any money, these often aren’t overly effective. The reality is, however, that traditional advertising (print, TV and radio) is insanely expensive. Seeing a return on that is all but impossible. Using email instead, however, is a great way to invest in your company that you know will be beneficial. One of the things you should focus on is building a brand that your customers know they can trust. For many people, this includes building a personal relationship. This is very easy to do by using email campaigns. Not only does it allow you to advertise your products, it also allows you to figure out what your customers want and need. Happy customers create positive and trustworthy brands. It is, in essence, a public relationship action. The more happy customers you have, the more they will spread the word, the more happy customers you will get. 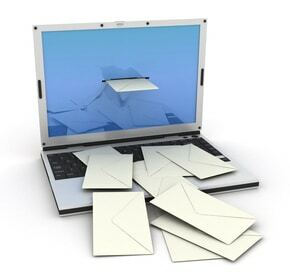 Through email campaigns you can send personal messages to your customers. This shows them that you’re real and not just run by robots and standard messages. It allows them to speak to you about concerns but also about interest. It isn’t about giving your customers everything they want, but by listening and acknowledging them, they will start to trust in your brand a lot more. The main focus of your business should be to drive sales. Direct marketing by using email is a fantastic way to bring greater interest to your website, but also to share promotional events and more. You can tell people that you have an event happening or more. Creating a campaign is about understanding what you’re trying to achieve. Once you know that, you’ll be better able to implement your actual campaign making sure it matches your needs. One thing to keep in mind when creating your email campaigns is that mobile devices have become the normal way of viewing emails. People get them on their cell phones for example, so your emails need to be easily visible for the reader. Large images and headings don’t work well on small devices. Also you subject lines need to be direct and to the point. Dj Waldow author at Entrepreneur.com recently posted some great tips for making your emails more mobile friendly, and he provides this tip regarding your subject line. Along with the From Name, the subject line is critical. While your audience may not know who you are, a compelling and creative — or a direct and descriptive — subject line can be the difference between an open and a delete or ignore. Social media is now hugely important. In fact, businesses can no longer function appropriately without that social interaction. You must try to connect with those who subscribe to your website by allowing social interaction. You need to use these functions to share your email marketing campaign. Once you’re sharing information that is of interest, place it in an email campaign to increase your chances of your customers sending the information on to others. Email marketing is hugely important to your business, because it allows you to really connect with people on a personal level. Indeed, social media is becoming more powerful, particularly in terms of sharing news, but special offers, direct contact and events still work just as well via email campaigns.